The FSP200 is a processor with Hillcrest’s proprietary embedded sensor processing software designed for use in robotic navigation applications. 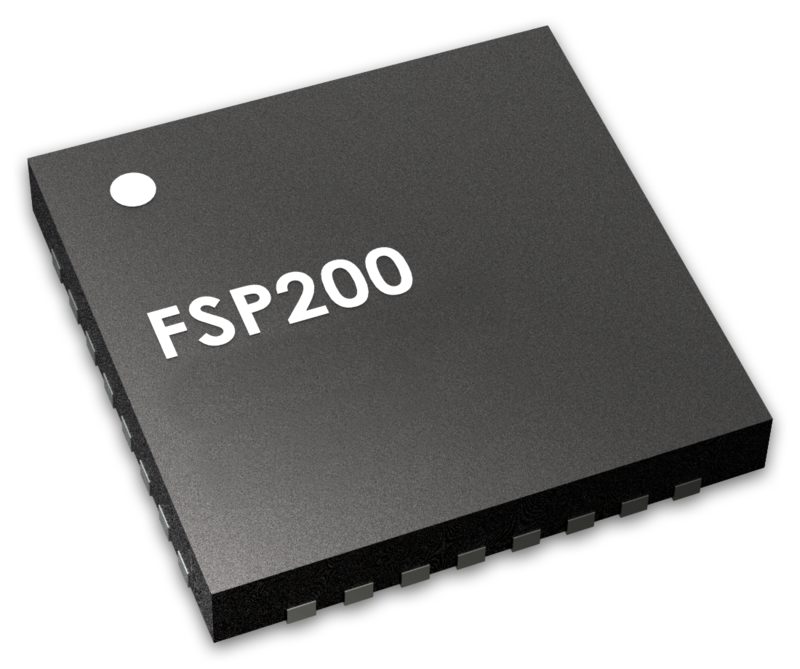 The FSP200 integrates Hillcrest’s high-performance sensor hub software stack into a low-power 32-bit ARM Cortex M3 MCU. This small, turn-key component benefits developers and integrators through faster time-to-market, reductions in development time, reduced BOM cost, and the highest precision and quality. The FSP200 provides superior planar heading and 6-axis IMU performance for high volume, cost conscious consumer robotics applications. The FSP200 is optimized for service and other ground-roving robots such as floor cleaners, lawnmowers, and garden products that employ Simultaneous Location and Mapping (SLAM) or other ‘intelligent’ navigation solutions. The combination of Hillcrest’s proprietary software along with a variety of external 6-axis sensors delivers superior heading performance even when the surface is not level. The FSP200 also provides features that enable bump detection and inclination, eliminating the cost of additional motion sensors or switches. Systems designers are able to choose from a variety of consumer grade MEMS sensors from today’s leading suppliers to best match cost requirements.